Sunday, June 25, will be a tough day for Paris Jackson and her brothers, Michael Jr and Prince Michael II, aka "Blanket". It will be exactly eight years since they last saw their father, Michael Jackson. To the world he was known as the 'King of Pop', but to his children he was known as "dad". Paris was just 11 when her father died, and had a rough few years after he passed. 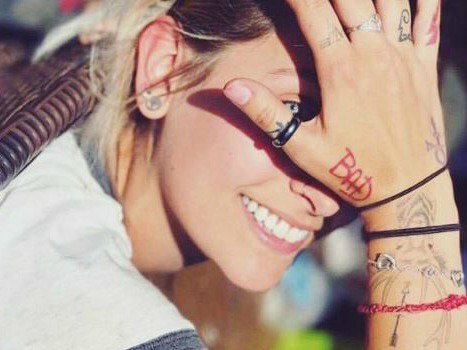 She battled with depression, addiction, and admitted to attempting suicide "multiple times". “He is my father. He will always be my father. He never wasn’t, and he will never not be... People that knew him really well say they see him in me, that it’s almost scary," she told Rolling Stone magazine earlier this year. “If you wanna be bigger than me, you can. If you don’t want to be at all, you can. But I just want you to be happy," Paris says he dad once told her. Paris admits to suffering from low self-esteem, but her father always let her know how special she was. Michael described Paris as the queen of his heart in a letter he once wrote her. "Growing up, I was treated as the favorite because I was the only girl. I was the princess; I was perfect in my dad's eyes," Paris told Haper's Bizaar. Michael Jackson was passionate about his charity work, and described his 1992 hit "Heal the World" as one of the songs he is most proud of. He also started the Heal The World Foundation to help underprivileged children. Paris is following in her dad's footsteps, and says she hopes to use her fame for good causes. "I'm really scared for the Great Barrier Reef. It's, like, dying. This whole planet is. Poor Earth, man... I was born with this platform. Am I gonna waste it and hide away? Or am I going to make it bigger and use it for more important things?" she told Rolling Stone.